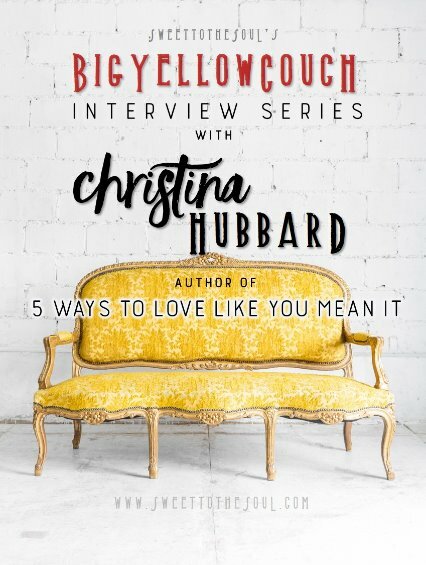 Today I've invited my friend, author Christina Hubbard, over for a chat. Her new book, "5 Ways to Love Like You Mean It" has just recently become available and offers some great encouragement on how to love our tribes better. from a place of struggle, not expertise." ​How do I make time with friends and family really count? Christina, thank you so much for dropping by today so we can chat and our audience can get to know you. ​1) Do you have a favorite Bible verse or life verse? "God loves us so much. I don't think we can ever really fathom its depth. When I'm feeling clueless or stuck, I come back to that word, "lavish". It's so extravagant, so undeserved. I've struggled to find myself and to feel worthy. The only answer for that kind of pain is God's love. I need to sit in wonderment at that fact: He loves ME. That's got to happen before I try to love anyone else today." ​2) What inspired you to write a book about love? ​"I was struggling to love my family well last fall. We had switched from homeschooling to me working at home and the kids going to public school. I felt conflicted as a mom and a writer because I was feeling out that tension of being present AND doing what I love. Less hours together made love feel more urgent---like every moment mattered a little more. Writing about loving well was me figuring out what that looked like in a new chapter of my life. God and I were sort of drafting a game plan for doing daily life with love; it was learning to merge our slower life with our busier, different one and finding God right in the middle." "​The importance of love cannot be understated. It is the core of life and the basis of the gospel. I also know it starts in my heart. is what I carry into the world." ​3) What's the hardest part of writing for you? ​"Letting the words be. I'm always mulling slowly over the perfect phrase or word. You have to do this in poetry: allow the words to simmer on the stove until you find the perfect taste. But in memoir or blogging, you go at a faster pace. That's hard for me to switch modes. I've been known to spend two hours on one puny sentence. That's why I often set a timer for 30 minutes and trick myself into a deadline." ​4) What is the last thing you did outside of your comfort zone? ​"Kept my mouth shut. This loving better journey has challenged me to stop nagging my kids about their little idiosyncrasies or correcting them for every little infringement. I'm trying to focus on letting them be their goofy, amazing little selves and taking my state of annoyance or controlling tendency straight to God. I really stinky at it because, yeah, I'm a mama, but I kept quiet at dinner tonight when my daughter was doing this weird thing with her eyes during the prayer. Small fries, I know, but that was uncomfortable and good all at the same time." 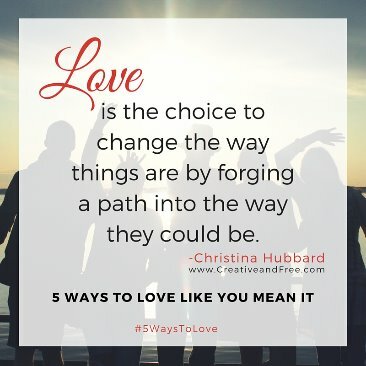 ​5) What's the one message you would hope readers take away from #5WaysToLove? ​"God is so in love with us, no matter how terribly we mess up a moment or a relationship. We can't love perfectly, but we can love with intention that grows from honest seeds. The kind that pushes boundaries of time and space and hearts wide open." 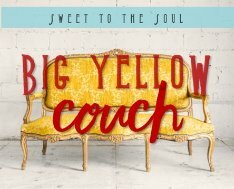 Today's blog post is part of our new #BigYellowCouch interview series. ​Christina Hubbard is a writer + poet sharing courageous stories from the suburban Kansas prairie. "​Today I live happily ever after on the suburban prairie of Kansas City with my family. My logical and equally creative husband motivates me to write. I am mama to two artistic, squirrelly children who will change the world. I love doing yoga in the sun, reading poetry aloud, roadtripping the country with my little tribe in the minivan, and finding wonder in my kids’ big eyes." 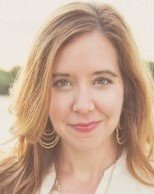 ​You can connect with Christina on her blog Creative and Free. Hi there, Christina. So good to get to know a little more about you. I appreciate your thoughts about less nagging on your kids. Oh boy, can I relate to that. Thanks for that reminder today. One way I can love my kids more effectively. Love this new series Jana! Christina, learning more about you is not only fun, but shines a light on your heart and ministry. Well done! Thank you, Carmen. Sorry I am late responding to your lovely comment. Grateful for the encouragement! "God and I were sort of drafting a game plan for doing daily life with love..."
What an awesome way to look at it, that reveals a closeness to God we all crave. Thank you, Christina, for sharing. And thank you Jana for this series! This was perfect timing to read this on the plane after a whirlwind 4-day roundtrip through four time zones with tired kids, grumpy hubby and me jet-lagged and worn. Sometimes, reading just the perfect devotion, advice or encouragement changes the direction of your whole day. I am positive it will remind me to love my family in a better and more thankful way today. Beautiful interview with much appreciated wisdom! What a beautiful interview, sweet friend. I love your perspective on love. You were one of the very first blogs I started reading/following when I joined Compel. Your words and love moved me. Then, I found you were a poet!! I can completely relate to switching between genres. I'm so grateful for how God lavishes us with his love no matter what we may be facing. Thank you for that truth. Godspeed, beautiful friend.